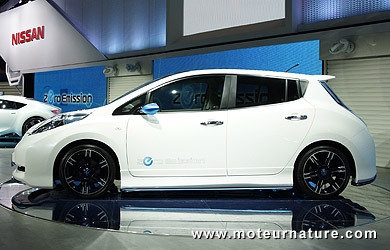 The launch of the Nissan Leaf was a fantastic event. The first mass-produced electric car, and yet there were plenty of disappointment when the car was unveiled. 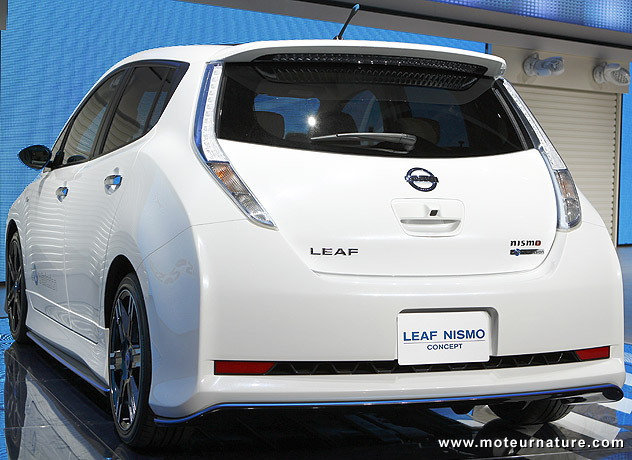 What was wrong was the Leaf’s unimaginative styling. This was a revolutionary car under the hood, but nobody would notice it on the street. We may get a more distinctively-styled electric car from Infiniti sometimes (still based on the Leaf platform), but there was something we could get faster at the Tokyo motor show. This is a Leaf that has been modified. It received the Nismo treatment. Nismo is the motorsport division of Nissan. It’s known for fast 350Zs and 370Zs, but this concept shows that it could work on EVs too. 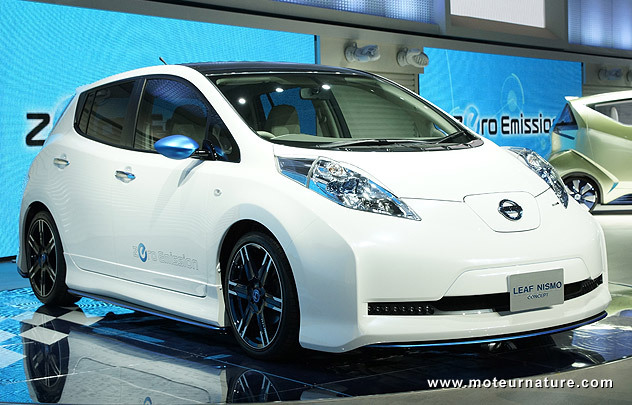 Mechanically, the Leaf remains stock, but a full body kit give it a much more distinctive appearance. Let’s hope Nissan gives it the green light, the car just looks so much better like this. Also, it shouldn’t be much more expensive. A spicy green car? Hey, what’s wrong with that?